https://soundcloud.com/parshapodcast/zera-kodesh-vayeitze-vayishlach-jacobs-ladder Hashem builds Yerushalayim using our Torah and mitzvos We build Yerushalyim with our days Yaakov is the ladder bridging heaven and earth Hear how the heilige Rav Naphtali Ropshitzer in the Zera Kodesh describes Yaakov's duality as feet planted on the ground head soaring to heaven, why do we do mitzvos using physical objects like wool & leather? Today the 15th of Tammuz is the Yahrzeit or anniversary commemorating the petira and passing of the Ohr HaChaim, Rabbeinu Chaim ben Attar. 1. The Ohr HaChaim was born in Morocco and was niftar at age 47 less than a year after moving to Jerusalem and was buried on the Mount of Olives called Har HaZeisim. 3. Many stories abound talking about the great miracles people experienced by praying at his grave. One famous story was of Rabbi Moshe Hillel Slezinger who didn't have children for many years. One of his doctors was so mean as to exclaim that when he grows hair on the palm of his hand he will have children. Tearfully Rabbi Hillel went to the Ohr HaChaim's tzion and promised to learn from his sefer every week. Within a year he had a daughter. He raised a generation of righteous children and one of his sons in law was Rav Moshe Halberstam a dayan and halachic authority in the Eidah HaCharedis. 4. In WWII when the threat of Germany entering the Holy Land was palpable, the Jerusalem rabbinical courts told the masses to go to the grave of the Ohr HaChaim to pray and beseech G-d for salvation. This group was headed by the Admorim (Hassidic rabbis) of Husyatin and Zhvil. After they finished saying the Tehilim at the kever they were both smiling. People asked why they were smiling and they answered that "the danger has passed; we are no longer in danger of the Nazis invading Israel." People asked; "how do you know?" One Rabbi said "I saw the 4 letter name of G-d properly written shining and hovering over the grave of the Ohr HaChaim so I understood the danger has passed." Indeed 2 days later, the Germans led by Rommel were routed at El Alamein by General Montgomery and they also suffered heavy losses on the Syrian front. The Russians opened a third front against Germany and they retreated from the region to regroup against the new threat. Miraculously the Jews in Israel were saved. 5. A spiritual remedy for having children is to accept upon yourself to learn from the Ohr HaChaim's commentary on a steady basis and in this way you will merit to have righteous boys that will learn Torah and keep mitzvoth. The admor 'Lev Simcha' of Gur said that the Ohr HaChaim had no children of his own so all of his strength to procreate is embedded in his holy commentary. That is why each portion of this holy book can bring fertility and righteous children. 6. Learning the Ohr HaChaim is a spiritual remedy for recovering from sickness, to strengthen your faith in G-d, wealth, a long life, fear of G-d and purity of the soul. 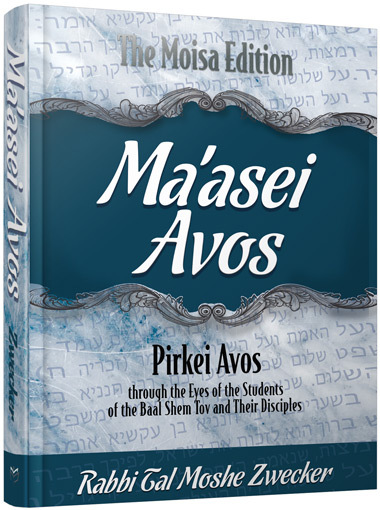 In the book "Kiymu Vekiblu" it says that a person who learns the Ohr HaChaim's commentary on the Torah Portions of Acharei and Kedoshim is guaranteed not to leave this world without Teshuva and repentance. 7. The Baba Sali, Rabbi Yisrael AbuChatzeira would sit studying and complete the commentary of the Ohr HaChaim for that week's Torah portion every Friday. 8. The Ohr HaChaim passed away at the beginning of a Saturday night the 15th of Tammuz (Motzai Shabbat like this year). When he passed away the Baal Shem Tov in Mezhibuzh was washing his hands for the third meal as it was still day time in Mezhibuzh. He cryptically stated; "The Western candle was extinguished" (alluding to the western candle of the menorah). His talmidim asked him what he meant after Shabbat and the Baal Shem Tov explained that Rabbi Chaim Ben Attar, the holy Ohr HaChaim passed away. They asked him how he knew and he answered that there's a certain kavana - a mystical intention when making the beracha for washing the hands that is only revealed from the heavens to one person in the generation. When I washed my hands for the third meal this intention was revealed to me so I knew that the holy Ohr HaChaim passed away. 9. The grave or tzion of the Ohr Hachaim is considered a holy site: People visit it today on his Yohrzeit to pray there and they also visit there all year round to pray and daven for yeshuos and salvations. It is an old debate whether a man is shaped by his times or a man shapes the times he lives in. But it is only relevant to those few individuals whose impact on their era leaves an indelible historical mark. In 1732 a British citizen was born in Virginia whose life would certainly change the course of history. His name was George Washington. The American Revolution in which he played a leading role would shake the entire world of the 18th century. It would set the stage for the French Revolution 13 years later. It would be a century in which many revolutions would occur. For Klal Yisrael, the 1700s would see other leaders, lehavdil, who would bring about change and leave their mark, not on battlefields or in parliaments but in the world of ruchniyus. Far away in Europe, the Baal Shem Tov was born. His revolution would be more profound and far-reaching than one could ever imagine. Around the same time, on yet another continent, Africa, another Torah leader was born whose impact on the Jewish world would be enormous. His influence would reach beyond the city and country of his birth, would touch every part of Klal Yisrael, and would reverberate to this very day. In 5456/1696 in the town of Salé on Morocco's Atlantic coast, Rabbi Chaim Ibn Attar, the Ohr Hachaim Hakadosh, was born. The name Salé in Arabic means "the place the sun sets." Its full title is al-Mamlakah al-Maghribiyyah — the Kingdom of the West. Morocco had first become unified under the Alaouite Dynasty (which rules to this day) in 1666. Salé was the center of the infamous Barbary pirates who attacked European ships and sold their passengers and crews into slavery. The Attar family (The name Ben Attar means spices or spice seller) lived in perilous times and in a dangerous place. They had arrived in Morocco after the expulsion from Spain. The Ohr Hachaim's grandfather, also called Chaim, was one of the leading chachamim of Salé and its Rosh Yeshivah. His son, Moshe, followed in his father's footsteps; his grandson and namesake was destined to climb his grandfather's path too, and reach even greater heights than those who preceded him. Danger soon engulfed the Attar family. The local vizier persecuted and oppressed the city's Jews, and young Chaim, who had already shown prodigious ability in Torah by the age of 9, was forced to flee with his family to nearby Meknes, finding refuge with relatives. Later a shidduch was arranged between the Ohr Hachaim and his cousin Fatzonia. The marriage was not blessed with children and Fatzonia encouraged her husband to marry a second wife, Esther. In 5485/1725, shortly after the passing of his father-in-law, the Ohr Hachaim felt it was safe to return to Salé. The commentary is regarding the story of Reuven stopping his brothers from killing Yosef for crimes they believed merited execution. Reuven "saved him from their hands" and persuaded them instead to throw him into a pit. The passuk says the pit was "empty, containing no water." Rashi comments that it was empty only of water, but was full of scorpions and snakes. The Ohr Hachaim Hakadosh explains Reuven's actions: "Human beings have freedom of choice and are able to kill someone who is not in fact chayav misah (does not deserve the death penalty)." In other words, if they had killed Yosef that would not be proof that he deserved to die. But this is not the case if a wild animal kills a man, since an animal has no bechirah. When Reuven "saved him from their hands," it means he saved Yosef from their bechirah. Now the story: The governor of Salé was marrying off his daughter. His entire family bought expensive clothing and sent them to the Ohr Hachaim, who was a goldsmith. He was ordered to weave gold threads into the material. The Ohr Hachaim Hakadosh demurred, explaining that "every month I work just enough to earn my livelihood, and the rest of the time I devote to Torah study. This month I have already earned enough money." When the governor learned of Rav Chaim's refusal to perform the work, he took steps to avenge what he saw as a personal insult. He ordered that the lions he kept in his palace be starved. He then dispatched soldiers to take Rav Chaim from his home and throw him into the lion's den. The Ohr Hachaim sat down among the lions and recited Tehillim. The hungry animals sat around him, ignoring their hunger pangs and the governor's "suggestion" of what would remove them. As the Ohr Hachaim had written, a wild animal kills a man only if the victim is sentenced to die by Heaven's decree. No such decree had been issued. Facing ongoing danger and persecution, the Ohr Hachaim decided to move to Eretz Hakodesh. In 5499/1739, at age 43, he set out with his family and two talmidim. They traveled from the Kingdom of the West across North Africa to Algeria. From there they sailed to Livorno in Italy. The Ohr Hachaim's arrival in Italy was met with great enthusiasm, and he was persuaded to spend two years there teaching Torah. Though he had arrived penniless, he was able to earn enough for his family and talmidim to undertake the next stage of the their journey. Benefactors also provided for the publication of his great commentary on Chumash in Venice. From the date of its publication in 1742, it has been studied and found universal acceptance and admiration. That admiration was particularly intense among the followers of the spiritual revolution that was occurring at that time throughout Europe. The Rebbe Reb Pinchas of Koretz said, "Sefer Ohr Hachaim protects the home, and learning it has the same effect on the neshamah as learning the Zohar." Those words were echoed by the Yesod Haavodah of Slonim and the Admor Harav Yisrael of Ruzhin. The Ohr Hachaim's arrival and entry to Yerushalayim was dddelayed due to an epidemic in the city. Settling instead in Akko, he set up his yeshivah, teaching Gemara in the derech of the Rambam. On 15 Elul 5502/1742 Rav Chaim ben Attar entered Yerushalayim at last but sadly, was niftar less than a year later. It is related that during Shalosh Seudas, the Baal Shem Tov sensed that Rav Chaim Ben Attar had passed away, and before it was possible for anyone in Europe to know of this tragic news, the Besh"t exclaimed, "The light from the West has been extinguished!" "He died there, but only there. He lives on in another holy and sublime place by the word of Hashem." The Ohr Hachaim lives on through his powerful and penetrating peirush, studied and quoted throughout the world in shuls, yeshivos, schools and homes. It appears in the Mikra'os Gedolos, where his words are printed below the words of Hashem. Rashbi comes out of the cave and destroys the world how does a simple anonymous Jew with two hadasim calm rashbi's kasha how can they leave chayei olam for chayei sha'a?